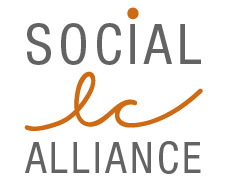 The roots of the Social LC Alliance are the establishment by the UNEP/SETAC Life Cycle Initiative in 2004 of a Task Force on the integration of social criteria into life cycle assessment. The first deliverable of this Task Force was a feasibility study (2006), after which the project group continued to agree on ‘Guidelines for Social Life Cycle Assessment of Products’, published in 2009 in English and in French. The Dutch translation came out early 2011. By making avaible detailled methodological sheets for each subcategory, incl. criteria, the task force accomplished its objectives and the project under the Life Cycle Initiative came to an end. The members of the Task Force and other interested experts in Social LCA has since then been interacting under this webbased platform, open for all interested. You are invited to join us! Send your contact details to contact@social-lca.org and you will be added to the network.